Home » PTP Updates » Happy Monday! Well the best thing about this Monday is that we are still celebrating our 8K members! It is a great day to enter and win and I am sure that you are all going to love the prizes today. We have a $20 store credit that was donated by Poppy Kettle Textiles, they have a vast selection of fabrics and notions available on their website. Jump over to their Facebook group to keep updated on what is new and on special. 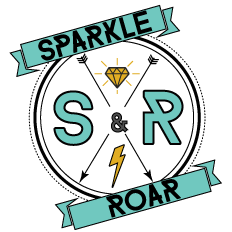 If you have not had a chance to see the patterns over a Sparkle and Roar take a few minute to look around. 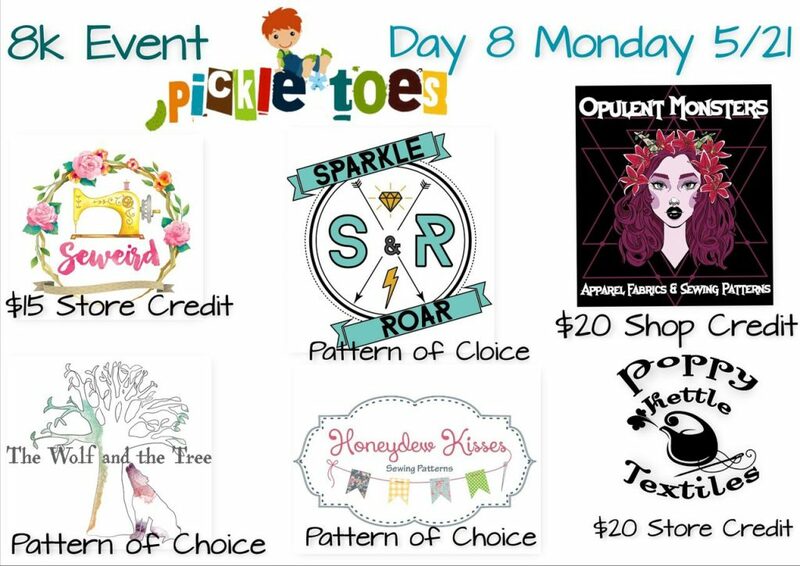 They are donating a pattern of choice for our winner today! They have a nice Facebook group page and are always helping members out. Special offers, pattern help and pre-orders. You can find all of those on the Facebook page of Opulant Monsters Fabric and patterns. They have some great fabric and always something new. They also have donated a $20 credit for their store. Check them out as soon as you get some time. 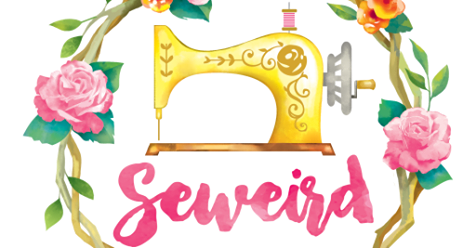 I know a lot of our members know Seweird Fabrics and they were so happy to give a $15 store credit for our giveaway! They have a very active Facebook page and keep it updated daily. Fancy dresses are everywhere when you mention Honeydew Kisses they are so cute and look fun to sew. They have donated a pattern of choice for our winner. Make sure you look over their Facebook page and see all the great sews. When you are looking for something a little bit different, it is a good idea to check out the Wolf and the Tree patterns. They have some cool stuff over there. You can find their Facebook group here and get help and ideas on all of their patterns. We want to take a few minutes and thank all of our sponsors and of course thank the 8000 members who have gotten us this far. We can't wait to celebrate with all of you at our 10,000 member celebration!